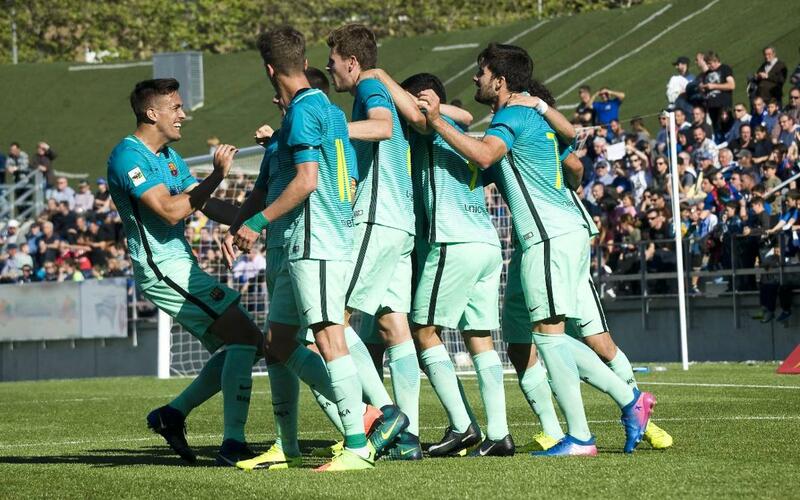 Barça B wrapped up the first objective of the season with five games to spare on Sunday, as their 2-0 win at Badalona secures a place in the promotion play-off round of the division. Dani Romera came close to opening the scoring after just eight minutes with a powerful shot that went just wide, but the team persisted and the goal finally came before the break. Romera was fouled in the area and Gumbau converted the resulting spot-kick for 1-0 on 37 minutes. The game was put to bed on the hour-mark with Dani Romera finally getting the goal that his performance deserved, capitalising on a defensive error before rounding the keeper and tapping into an empty net into (2-0). Alcoyano's draw against Ebro combined with this win means Barça are now seven points clear at the top of the table.